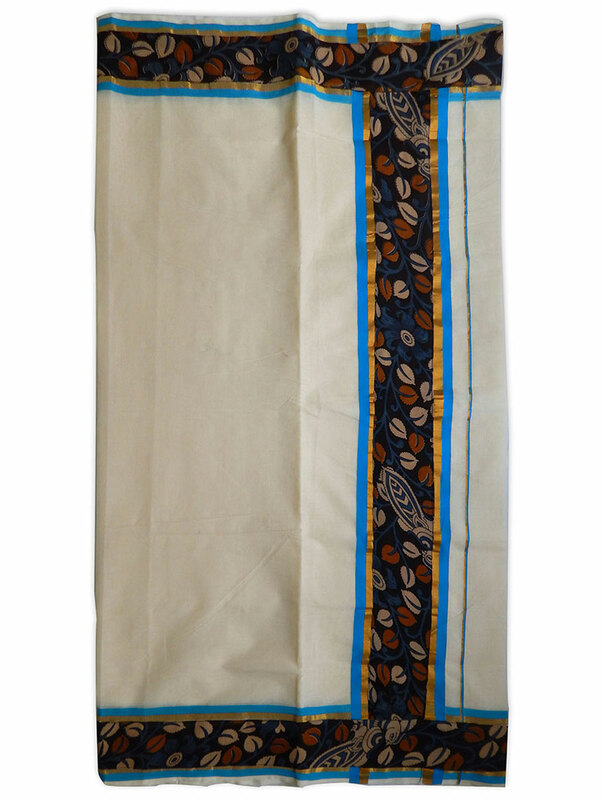 Kerala handloom kasavu saree has transformed from the traditional ‘mundum neryathum’ , which is actually a two piece version of the saree. 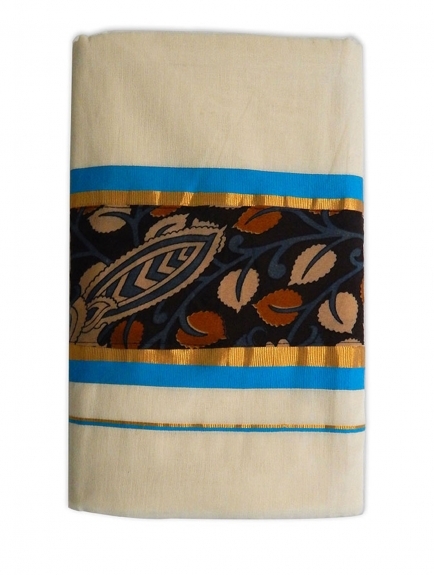 The kasavu or the golden border is either pure golden layer, copper coated or artificial. 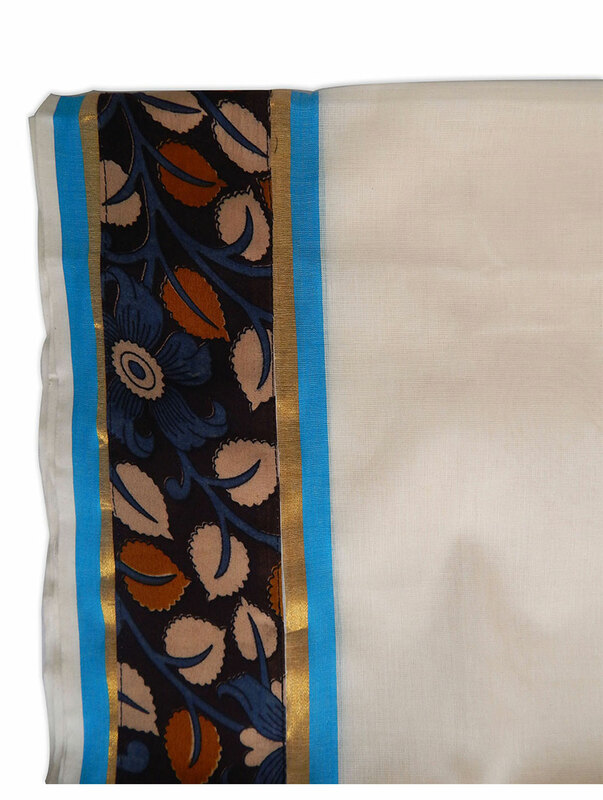 Kerala ‘mundum neryathum’, from which the kerala sarees have emerged, were the favorites of the royalties of the times and has evolved with times to deliver contemporary designs. 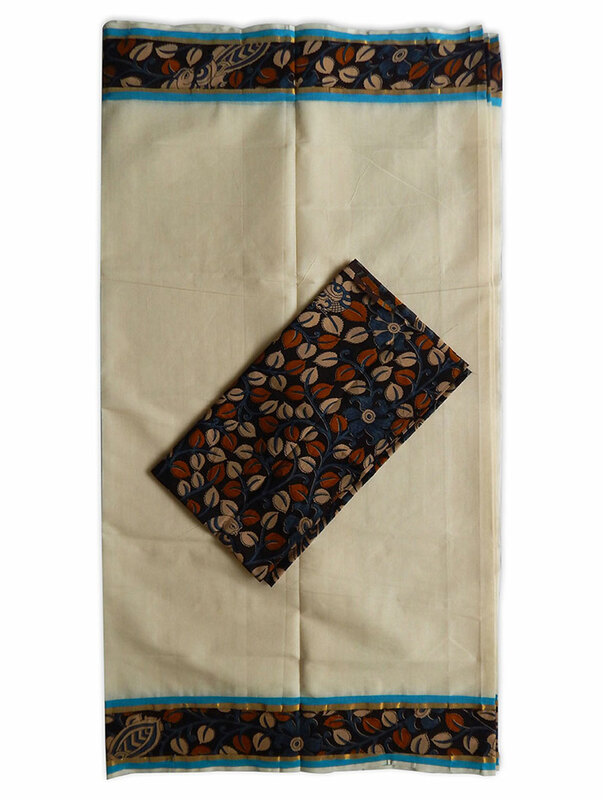 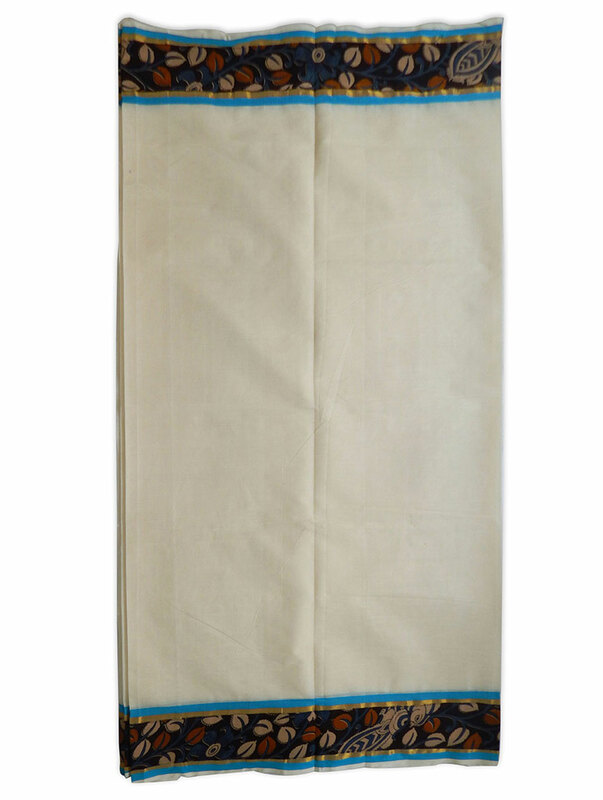 This kerala handloom cotton saree is an ideal wear for all festive occasions in your life.